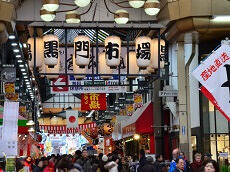 Tsukiji Fish Market is dubbed for The Tokyo Central Wholesale Market. The market is split into two sections, the inner and outer rings. 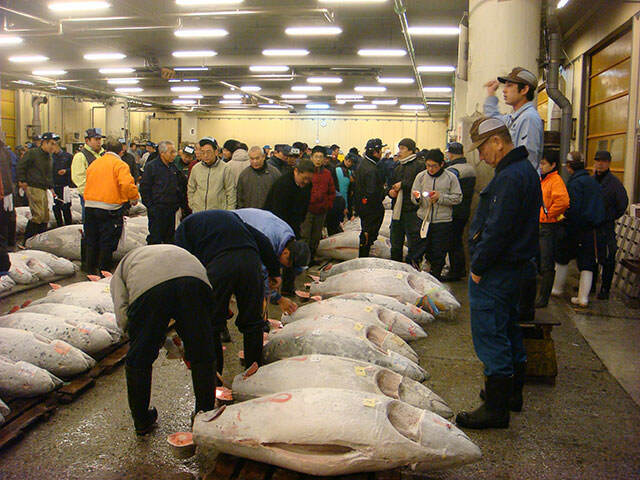 The inner market is famous for the Tuna Fish Auction, a daily fish auction early in the mornings where various restaurant chefs and owners come to purchase the freshest tuna available. In terms of floor area and sales volume, it is one of the largest markets on earth, providing the millions of residents of the city with fresh produce including vegetables, meat and fish. In particular, the market is most famous for fresh fish, for having a history dating back to five hundred years and handling over 2,000 tons of seafood per day. 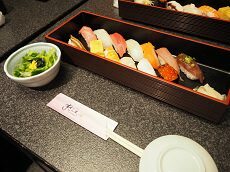 The sight of the many kinds of fresh fish and other seafood and the busy atmosphere of scooters, trucks, sellers and buyers hurrying around, make Tsukiji Market a major tourist attraction. With the growing number of visitors to the market, several restrictions and rules have been set. Please follow important rules that you may be presented with during your visit to the market, such as staying out of restricted areas and allowing for a steady flow of traffic. 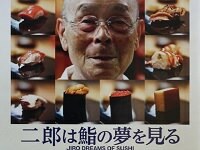 Tsukiji Market has now moved to it's new location in Toyosu. 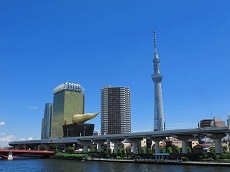 Our Japan tours scheduled to visit Tsukiji Fish Market will visit Toyosu or another market instead.